With a world heritage city on the doorstep, you will enjoy discovering the history of Bath whilst staying at Tasburgh House. 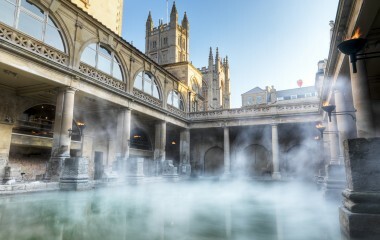 Visit the Roman Baths, admire the famous Georgian architecture of the Royal Crescent & Circus and stroll the promenades walked by Jane Austen. 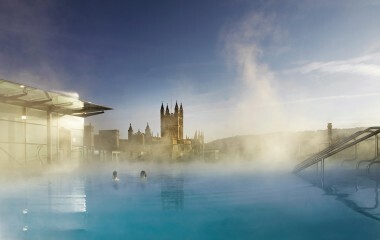 Bath today is a vibrant city, great for shopping, dining, coffee and cocktails and of course home to the UK’s only natural spa, Thermae Bath Spa. You can take the stunning walk through the grounds of Tasburgh House and along the Kennet & Avon canal right into the heart of the city. Look out for the Bath Reward Card symbol. Our guests have the added benefit of enjoying discounts and incentives that the Bath Reward Card offers at local independent businesses and attractions. A ‘must see’ if visiting Bath – whatever the occasion! One of the finest historic sites in Northern Europe and considered as one of the best preserved Roman remains in the world. Visit the Great Bath and walk on the cobbles the Romans did 2,000 years ago. Bathe in the restorative waters of Britain’s only naturally warm, mineral-rich day spa. Enhance your experience and choose from a range of additional treatments, designed to sooth the body and mind. Packed with fascinating collections of art, this beautiful building with a modern yet stylish extension is open to all for unique exhibitions, lectures or concerts. Garden cafe serves seasonal lunches and delicious cakes. The perfect way to see Bath in a day. Hop on and off the open top bus tour for the city route and/or skyline tour. Operates all year round, tickets valid for 24 hours. The Victoria Art Gallery is a free public art museum. It was opened in 1900 to commemorate Queen Victoria’s diamond jubilee. Nestled on the banks of the River Avon sits the Cleveland Pools, the UK’s oldest and only surviving Georgian open-air swimming pool. Built in 1815, the Cleveland Pools became a favourite summer destination for generations of bathers from Bath and beyond. Royal Victoria Park was opened in 1830 by the 11-year-old Princess Victoria, it was the first park to carry her name, and includes an obelisk dedicated to her. Perfect for walks and picnics. Hot air balloons are regularly launched from the park. It also features a botanical garden, children’s playground and band stand. The Assembly Rooms is one of Bath’s most prestigious venues. Each of the four rooms, the Great Octagon, Tea Room, Ball Room and Card Room, had a specific purpose, as their names suggest, but they could all adapt for other functions, as they still do today. Completed in 1774, Pulteney Bridge is one of only four bridges in the world to have shops across its full span on both sides. River-side park with lawns and flower beds, plus a cafe and a bandstand with summer concerts. Open Apr-Sep. The place to discover how Georgian Bath was built. 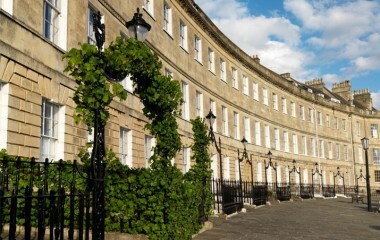 Admire the stunning architecture of John Wood the Younger at the beautiful Royal Crescent. View one of Bath’s most iconic landscapes from Victoria Park over a picnic, walk the full stretch or visit Number 1, where you are transported back to a traditional Georgian residence. Anyone who loves books must experience this bookshop. Twice-winner of the Independent Bookstore of the Year; the staff are incredibly knowledgable and will give exceptional service, including personal recommendations. Have a look at their events – they often host events with prestigious authors. Dark Horse is a cosy and friendly place off the beaten track. If you’re looking for a chilled out and relaxed night with good drinks, then this place is a must visit. Stylish bar, with intimate spaces and a courtyard, serving speciality cocktails, exquisite champagnes and premium spirits. Lively chain bar that serves sweet, sour and spicy cocktails. Within stumbling distance of Bath Spa railway station! Vino Vino is a sophisticated wine and cocktail bar with an informal, convivial atmosphere. Since opening in 2014, this bar has become something of an institution in Bath! Simply a must for coffee lovers. The staff hold such titles as UK Barista Champion, Barista Champion World Finalist and uk Latte Art Champion. The coffee menu is changed weekly to reflect the seasonality of differen coffee beans. The treat coffee like wine – recommending coffee beans, describing tasting notes and whether it is served best as an espresso, filter coffee or latte. Have a coffee or a craft beer in this relaxing space. Neither a restaurant, cafe or bar, it is the perfect place to chill after a busy day in Bath. The staff here know their stuff, and will recommend a hand-picked speciality beer on tap, or a lovingly prepared espresso. Quirky bar and British restaurant with modern vibe over two airy floors and a stunning roof terrace. Be sure to try these award-winning ales during your stay. For a malty, bittersweet ale, go for the Gem or for a more complex full-bodied ale, pick the Barnsey…and don’t stop there – book a tour of the brewery to learn all about the cutting edge brewing techniques and get a taste of each of their blends. Bath Ales have also opened numerous pubs in the surrounding areas. We recommend Graze, with its own microbrewery on site for a sophisticated evening of beering and dining, perfect for the beerologist. Hidden away under Pulteney Bridge, you have to know what you’re looking for to find it (follow the scent of incense). Enter through the sliding doors, and you will be greeted by friendly bar staff, who can recommend you a cocktail based on your likes, and if nothing takes your fancy, they will happily make a customised cocktail. Ever wanted a hog’s head with a top hat? Or perhaps a honky-tonk piano? Well you’ve come to the right place as all the furniture is for sale. Have a look in the drawers – as someone may have left a note! The Italian restaurant run by Italians! Martini offers good food and wine in a warm, friendly and traditionally Italian atmosphere. Choose from pizza, pasta, fresh fish and steak. Charming boathouse restaurant in a terrific riverside location. Pretty terrace with river views serving a delicious, diverse, English/Mediterranean menu. Locally sourced, 21-day aged steaks in a casual, family-run restaurant with painted stone walls. Award-winning restaurant serving fresh, modern vegetarian food in one of Bath’s most historic locations. Using local and artisan ingredients and providing a small yet exceptional wine list, Acorn is aptly listed in The Good Food Guide. Airy, relaxed spot with modern British gastropub menu, extensive wine list and scenic outdoor seats. Award-winning relaxed restaurant serving modern British food from breakfast until dinner, seven days a week. Head chef Rob Clayton has previously gained Michelin stars. Seasonal local produce in a gastropub with reclaimed furniture, leather sofas and an open fire. Smart, gold-hued dining room for classic Thai meals surrounded by Asian design touches. One of our favourites. Henry’s restaurant offers honest, imaginative modern dining in a humble setting. The seasonal classic menu offers a choice of dishes that can be enjoyed à la carte or as a four-course tasting experience. A superb selection of wines and craft beers are also available. A must visit whilst in Bath. A traditional & family-owned pub, serving heart ‘Pieminister’ pies and their own beers. We recommend the ‘Heidi’ pie with a pint of Raven’s Gold. Soft-lit restaurant and cafe with neutral tones in Georgian building serving seasonal British food. Beautiful breads, croissants and french patisserie. Also serve lunch and drinks. Try our favourite – chocolate and almond croissant for a takeaway dessert! Take a look at their cookery school too. Spacious family-run restaurant serving a menu of French-influenced British dishes at linen-clothed tables. Authentic french cuisine with a modern twist. Open every day serving breakfast, brunch, lunch and dinner. Volunteers who have lived and worked in Bath give unique guided tours of the city. Tours start daily outside the Pump Rooms at 10:30am and 2pm (10:30am only on Saturdays). Over 2 hours, the tour covers the history of Bath and famous architectural sites including the Royal Crescent, The Circus, Queen’s Square, and much more. Dating from 1935, showing arthouse and mainstream films, plus live screenings and a cafe/bar. A tranquil river cruise that runs from Bathampton to Pulteney weir. The Bathampton stop is within short walking distance from Tasburgh House. Explore the surrounding area of bath on two wheels. Go through the Two Tunnels – the longest cycling tunnel in the UK, and explore the stunning Cotswold villages, including Castle Combe, Lacock & Bradford-upon-Avon. 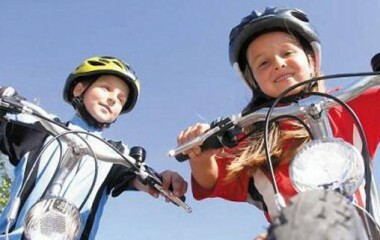 Bath offers many traffic-free cycle routes with pubs at convenient locations! Komedia is Bath’s award-winning venue for comedy, music, cabaret and club nights. We loved staying at Tasburgh House, Sue the owner was very welcoming and friendly, the room was spotlessly clean. The views are fantastic and the bed was the best nights sleep that we have ever had. Thoroughly enjoyed our stay and would recommend the stay there, would definitely stay here again. A fabulous place matched by fabulous staff. Infinite thanks for making our stay so memorable – especially for the birthday girl! Hope to see you sometime in the future. A* for everything and everyone. Thank you! Hospitality is outstanding. Two days is not enough, but then I bet a week is not either. Loved it! Absolutely beautiful accommodation, wonderful service and friendly staff. Thanks for all your attention. Another wonderful stay at Tasburgh! Seventh time of staying and it gets better every time. The attention to detail is outstanding and it now feels like home from home. Thank you Sue for such a relaxing stay with our bump! If my handbag was just a little bigger I could fit this and people in it to take with me everywhere! Sue and the team – we couldn’t have asked for a more wonderful experience. Tasburgh House is truly divine. The location and staff are second to none! Thank you so very much. Lots of love from Australia. We really felt a guest in your guesthouse, not only because of your perfect hospitality but also of the design home, so tasteful. So long! My third visit. Need to say no more than that! Delightful, friendly and wonderful hosts. Many thanks. Thank you for a wonderful stay. You have made our engagement fantastic! Thank you for making all of our wedding guests so welcome and for making our special day even more special! We had the most wonderful stay at Tasburgh House. Sue helped us to make our friends’ wedding even more special by providing all the extra special touches. We received the warmest welcome and experienced the most delicious home cooked cakes and breakfasts. Thank you very much Sue – we appreciate everything you and your staff did to make our stay so wonderful. Best wishes. It was great to be back! Can’t wait to come again. Thank you for the warmth and delicious breakfast.